Madison MF carried the farm’s flag to a Unanimous Win at Regionals as a yearling. 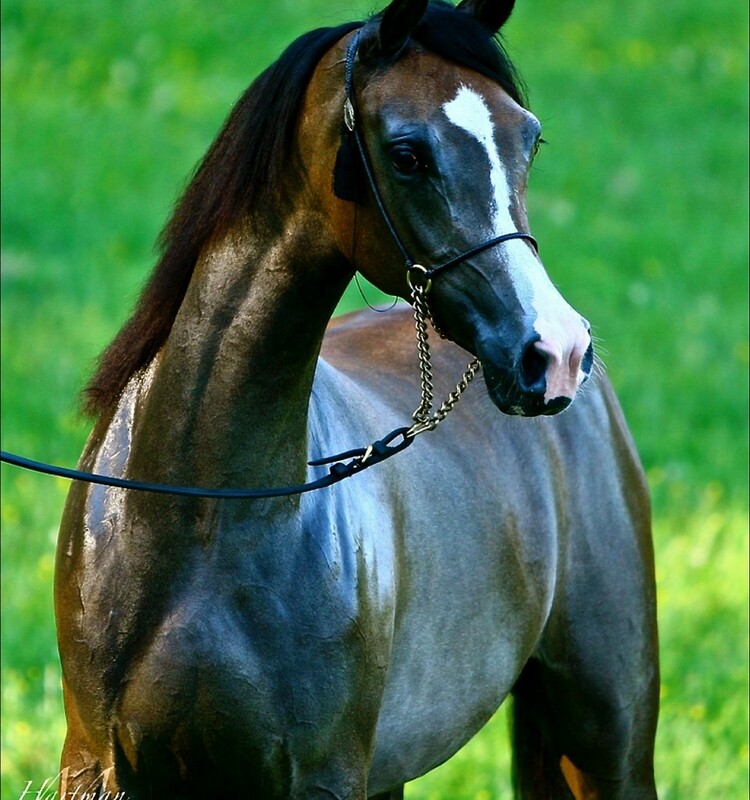 Brian Murch, a Judge at the event was heard to say, you won’t find a more balanced horse! Madison is still growing and is already a mare of substantial size and presence. She is bigger than most average stallions and fills the room with her oversized attitude. The energy level this mare is capable of – every day – is a tribute to her father’s undefeated ‘Liberty’ status, (the only horse to win Scottsdale Liberty with perfect score on all three cards) and her dam’s stamina, (two Tevis Cup contenders from her progeny). We look forward to showing the mare under saddle or Driving in 2019 and then onward to breeding her. Her stature and pedigree will be fun to breed forward, we can go so many ways with her attributes. This entry was posted in Champions, Mares, Opportunity on June 8, 2015 by Anita Enander.